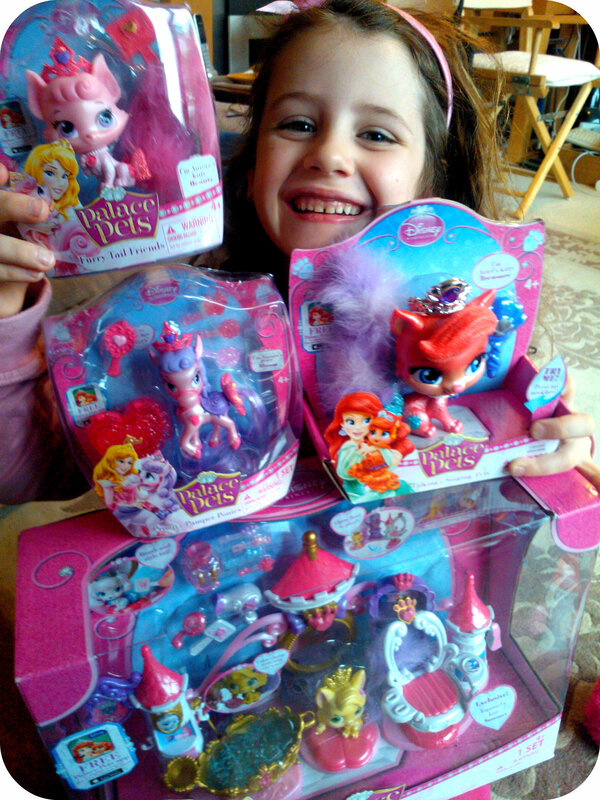 Disney Princess Palace Pets are a new range of toys from Character toys. I think most little girls love the Disney Princesses so a toy range of their pets are perfect toys to keep young girls entertained. When I showed Miss M the palace pets, her eyes lit up in delight and she couldn’t wait to start playing. 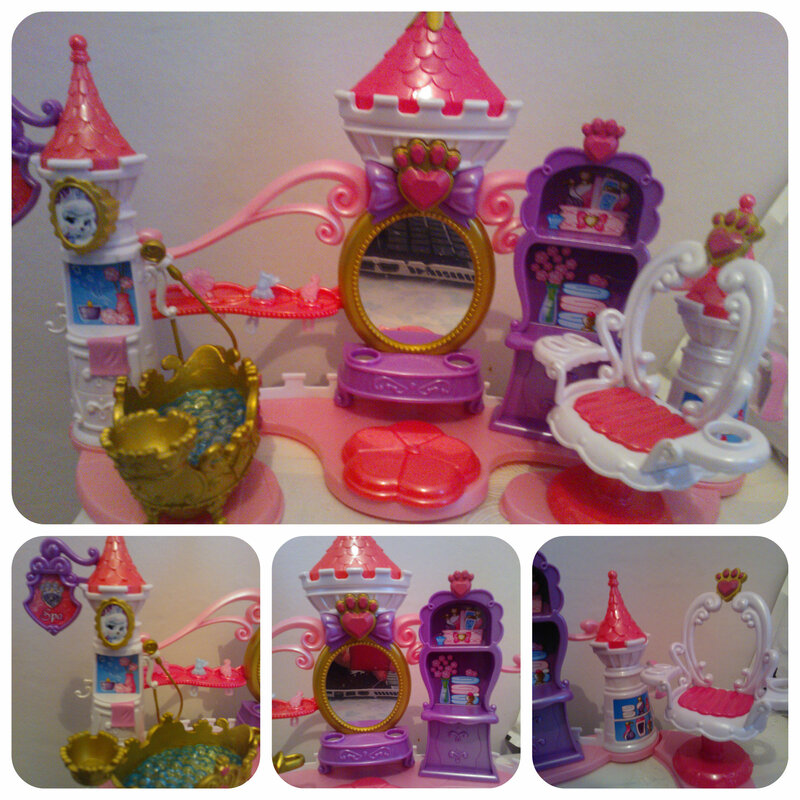 We received the Disney Princess Palace Pets Pamper and Beauty Salon Set, which is one of the larger items in the range, the hub of all the pampering where the pets can meet up and be groomed together. The salon is made up of three areas, a spa tub with shower spray, a hair styling area in front of the mirror and a salon chair to sit in, spin round and be styled. There is also a shelving unit and other areas to hold various accessories and the play set can be opened out by moving the bath and chair outwards to create a larger play area. The salon has lots of detail and looks very pretty but I would have liked to see a few more features/accessories for the price of this item. 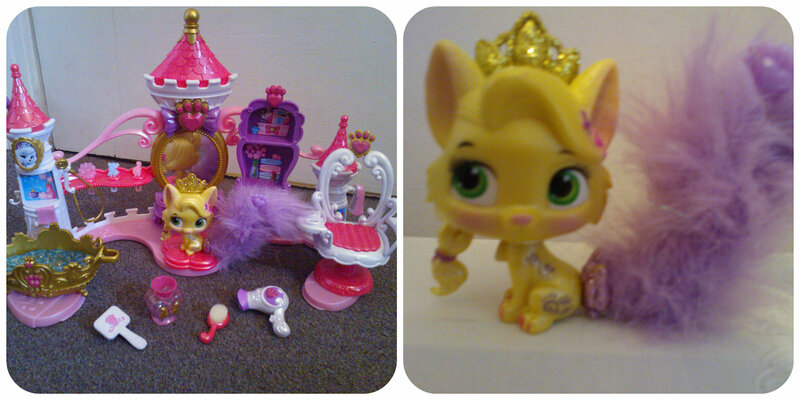 This set comes with Rapunzel’s kitten Summer, a golden coloured cat that Rapunzel found alone in the street and rescued. Her favourite place to be now is in the salon for a bit of pampering. Also included are a hair dryer, hairbrush, heart shaped jar, some hair clips and a special sponge which when wet can be brushed across Summer’s toes to magically change her nails to pink! Summer is a Furry Tailed Friend, of which there are six more sold individually to collect. We received Beauty, a pink kitten belonging to Princess Aurora. She comes with a brush to groom her lovely bushy tail. 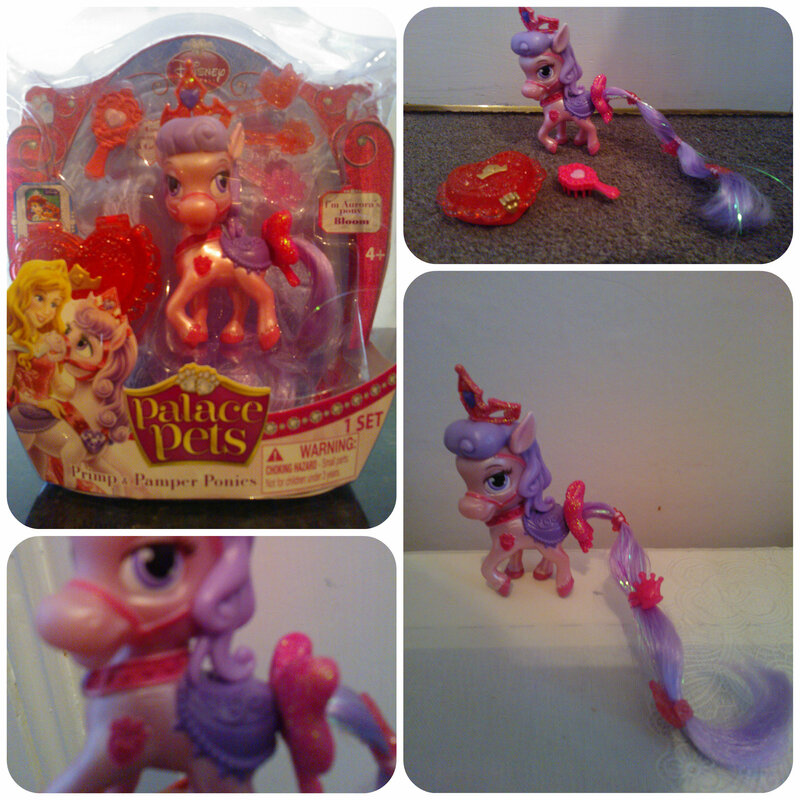 She has a detachable tiara as do all the palace pets and moveable head from side to side. Each pet is beautifully moulded and made to a high standard with lots of detail. Miss M loved all the glittery bits on the pets and taking their tiaras off for pampering in the salon. Bloom, one of the Primp and Pamper Ponies is Princess Aurora’s pony and comes in a pink a lilac colour with a beautiful, shiny, long tail. This is perfect for grooming and below you can see where Miss M has added the hair clips she comes with to the tail. She also comes with a hairbrush and jewellery box to keep her clips in. I think Bloom is a really pretty pony, with lots of shiny, glittery detail, a perfect size for young girls to carry round and play with wherever they are. 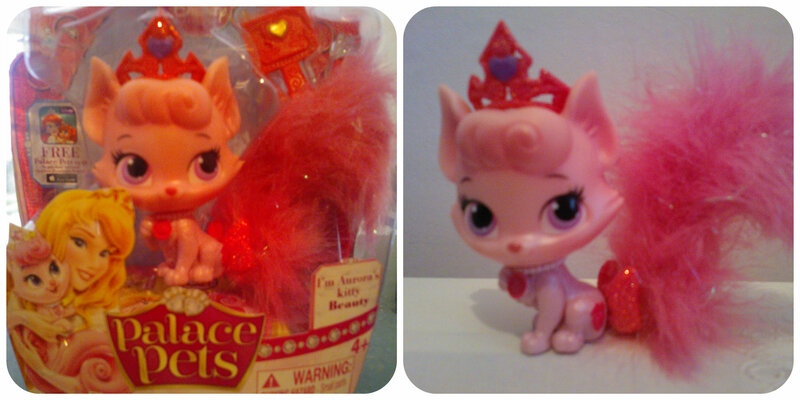 Finally we received one of the Talking and Singing Pets, Treasure, a cat who belongs to Princess Ariel. She is quite a bit larger than the other pets but this is due to her ability to talk and sing, which we were all really impressed with. She says several phrases at the touch of her necklace including “A tiara is a cat’s best friend”, “You’re the perfect friend” and my children’s favourite – a song consisting purely of meow’s to the tune of row, row, row your boat. I now have this sung to me on a daily basis by my children although it does sound rather cute! 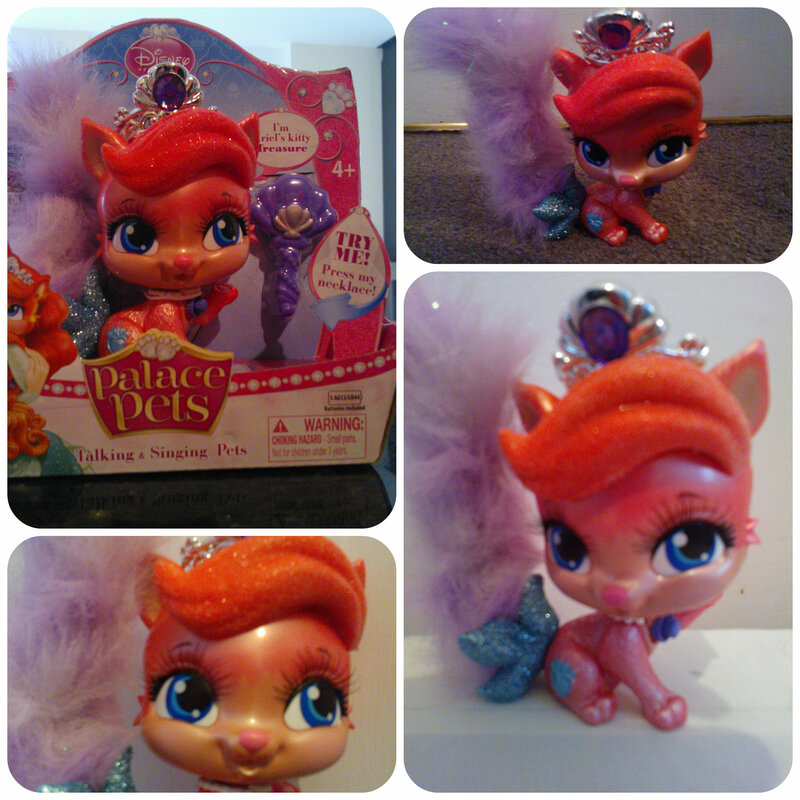 We’ve loved playing with the Disney Princess Palace Pets, they are all very pretty and girly with lots of detail and sparkle. They are well made and perfect as individual toys and work well together as a set. The Pamper and Beauty Salon is a great area to bring the pets together and get little ones imaginations going. My 2 children had fun giving the pets all sorts of baths, while Mister B enjoyed pretending to dry their hair and left Miss M to style them. These are a treat for any young Disney Princess fan! The Disney Princess Palace Pets are available now and range in price from £5.99 for a Furry Tailed Friend up to £34.99 for the Salon. 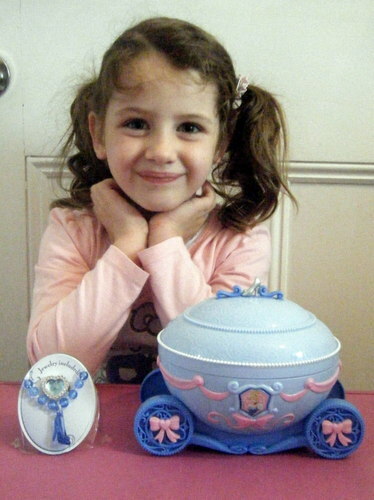 Most little girls love being princesses, dressing up as them and wearing replica jewellery so the Cinderella jewellery box from Disney Princess is the perfect place to store their jewels as well as being a pretty box to accessorise their bedrooms into the perfect princess boudoir. 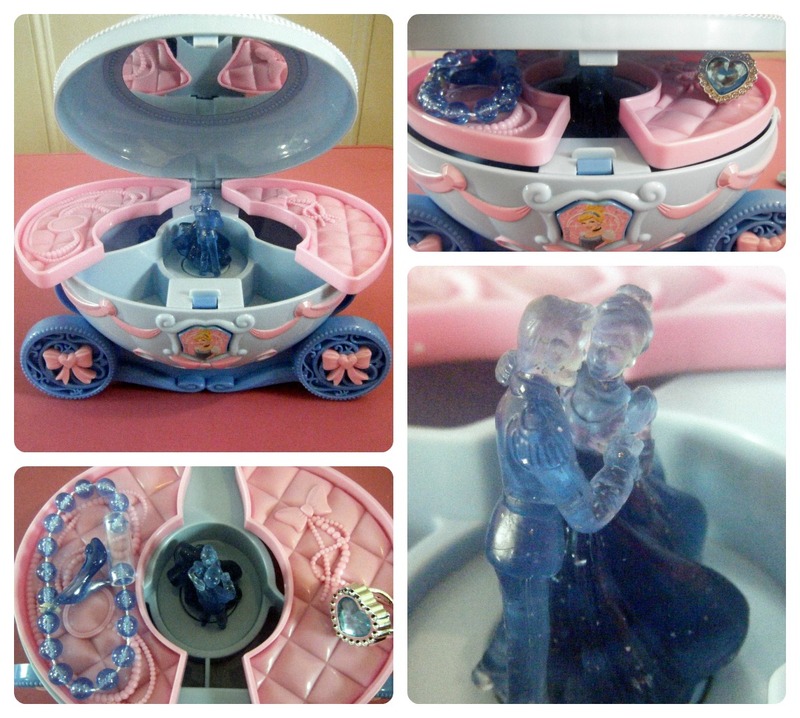 The Cinderella jewellery box, although made of plastic has been beautifully designed with lots of detail. The main body of the jewellery box is shaped like Cinderella’s pumpkin carriage with intricately designed wheels with a pink ribbon on the centre. The outside of the jewellery box is very ornate including a very pretty lace effect across the lid with small pearl like beading around the edge. On top between a couple of blue scrolls is a silver coloured Cinderella shoe which is detail that Miss M loved. Around the edge of the carriage is a pretty pink ribbon effect and on the front of the carriage is a Cinderella button that is used to open the jewellery box. Upon opening the Cinderella jewellery box a glass like Cinderella and Prince Charming start twirling around in the centre along to music – This was Miss M’s favourite feature of the box and she loves to open the box again and again to watch the figures dancing around and listen to the music. Around the centrepiece figures are two pink trays to store jewellery on and these swing open to reveal 4 storage compartments. There is also a mirror on the inside of the lid. The Cinderella jewellery box also comes with some jewellery which Miss M was thrilled with. There is a blue beaded charm bracelet – the charm being a Cinderella shoe and a large blue heart shaped ring. Miss M couldn’t wait to try these on and even did the bracelet up herself! They are a lovely addition to any little girls jewellery collection and Miss M loves wearing them each day ( I had to refuse for school!!). 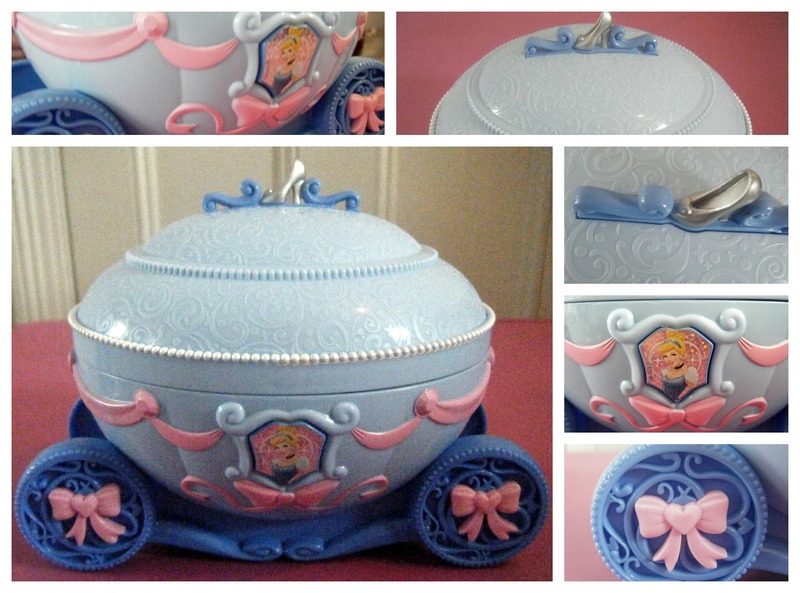 Overall we really like the Disney Princess Cinderella jewellery box and think it is the perfect accessory to any little girls bedroom. Not only does it have great storage for all their jewellery but looks great on a shelf and plays appealing music to any young princess. This would make a lovely Christmas present and gets Miss M’s seal of approval with a big thumbs up! !